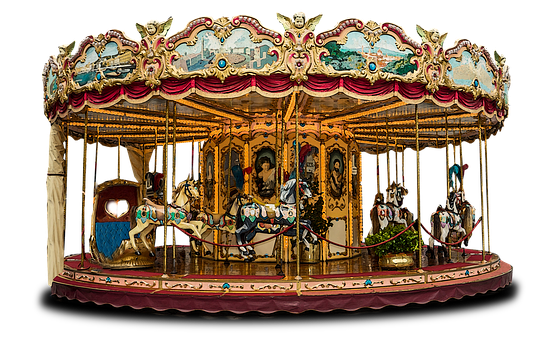 Visit Jane’s Carousel-- a beautiful, antique carousel in the Brooklyn Bridge Park. Jane’s Carousel is a true antique. Originally built in 1922 by the Philadelphia Toboggan Company, the carousel features 48 carved horses. The carousel was originally part of the Idora Park amusement park in Ohio. When the park closed in 1948, the carousel was purchased by Jane and David Walentas. After 27 years of renovations, the carousel was donated by Jane Walentas as a gift to the Brooklyn Bridge Park. The carousel is housed in a glass pavilion that was designed by the Pritzker-winning architect Jean Nouvel. The carousel costs $2 a ride and is free for children under the age of 3 who are accompanied by a paying adult. The carousel is also a great place to host a birthday party, a photo shoot or even a wedding.